Train wrecks are almost certain to leave you injured and in need of financial compensation provided by the at-fault parties. Find out how much your claim is worth and how to pursue it by speaking with a Spokane train accident lawyer. Riding an Amtrak or other light-rail train is a convenient way to get around throughout Washington State. However, if you were hurt during an accident with one of these trains, you deserve to receive compensation for your injuries. A Spokane train accident lawyer from Craig Swapp & Associates can help you through the process. Conductor Error – If the wreck was caused by the conductor making a bad decision, we must determine if he or she was solely responsible for that mistake. Was the conductor properly trained? Were there any prior safety violations? Were all the proper licenses in order? If not, both the conductor and the train company could be liable. Equipment Malfunction – When a train part malfunctions, we need to determine if this was a manufacturer error or if the train was sent out with a known maintenance issue. Parts wear out over time, and if the train company ignored the problem, they could be liable. Train Track Owner – A train in proper working order only functions well on a line that is intact. If it is not, knowing who was responsible for the disrepair or improper maintenance of the line will determine who should be sued. The evidence that your Spokane train accident lawyer gathers will indicate who should be named in your personal injury lawsuit. It will also allow us to present a strong case in court demonstrating both what happened and why you deserve compensation. If we find that the conductor, train company, manufacturer, and maintenance crew all had some level of responsibility, we will name them all in your lawsuit. Whether suing one or multiple parties, we will ensure that your rights are protected and that you are treated fairly at all times. We can then prepare a demand letter and negotiate a settlement on your behalf. If successful, you will not need to go to court. Should a court-rendered verdict become necessary, we have the trial experience necessary to present a strong case and fight for as much compensation as possible in court. 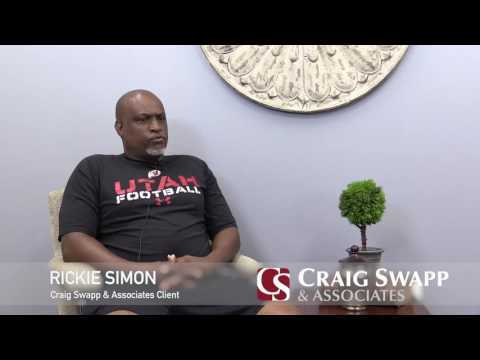 Find out how much your injury claim is worth and get more information about the process of filing a lawsuit by scheduling a free, no-obligation consultation with Craig Swapp & Associates. We can help you determine if the conductor, train company, or maintenance crew was at fault for your accident. You can speak with a Spokane train accident lawyer in our office by calling 1-800-404-9000 or by completing the form below.